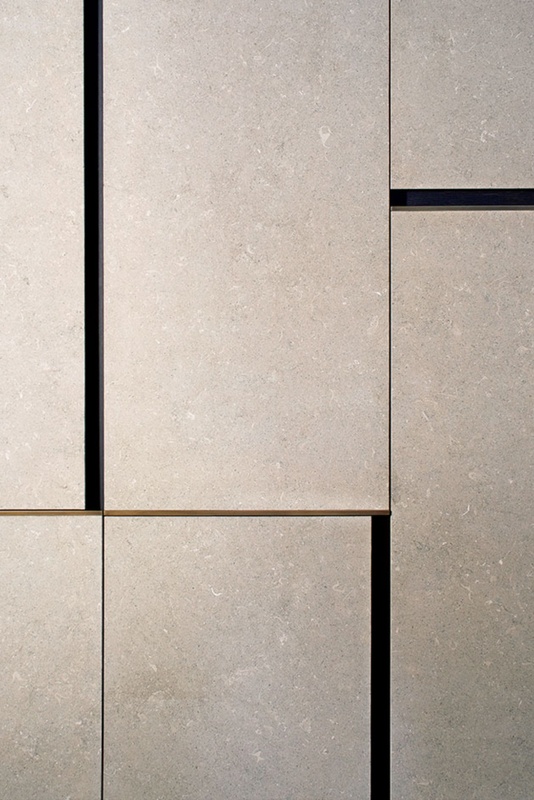 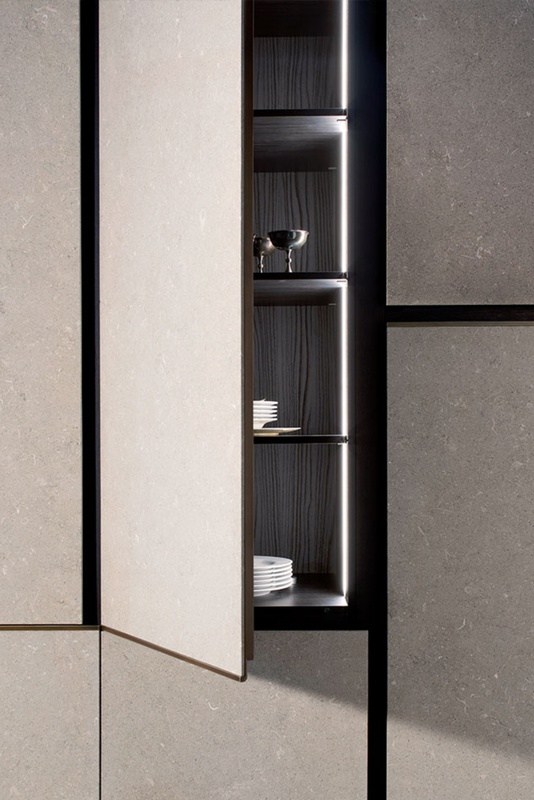 Ten years after the first LAB experiments, in which the connection between artisan excellence and technological research brought to life the first automated kitchen made from travertine, corten steel, and select timber, the female duo of architects Bernhardt&Vella have interpreted with great formal elegance TM Italia’s iconic firstborn kitchen: Petra. 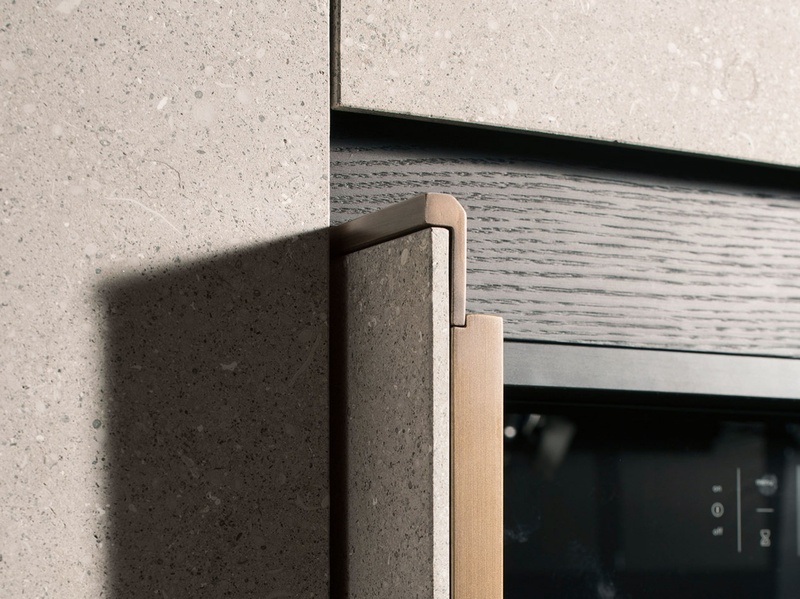 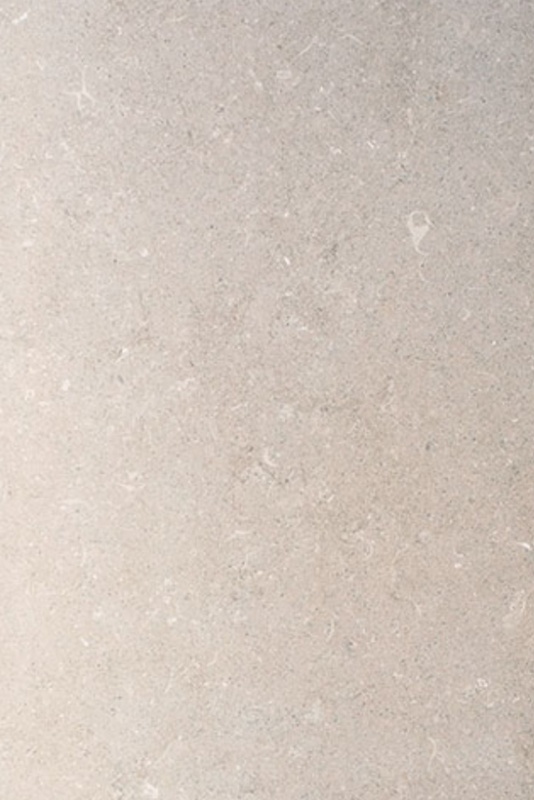 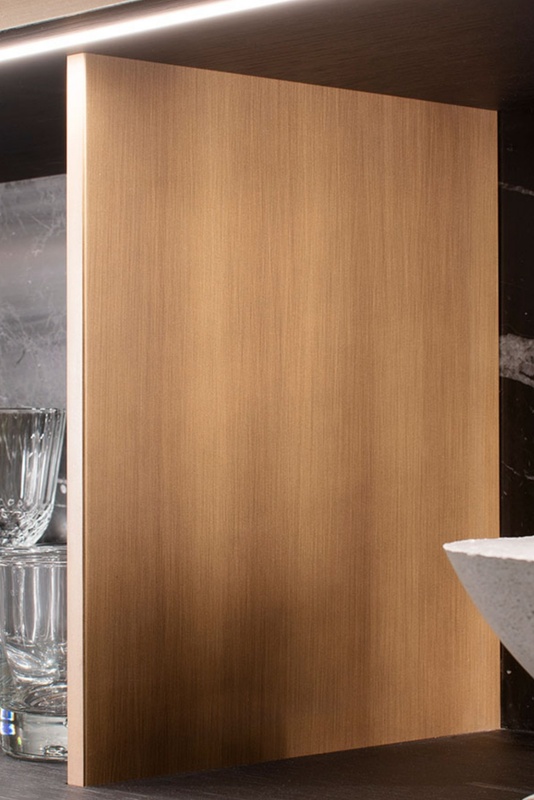 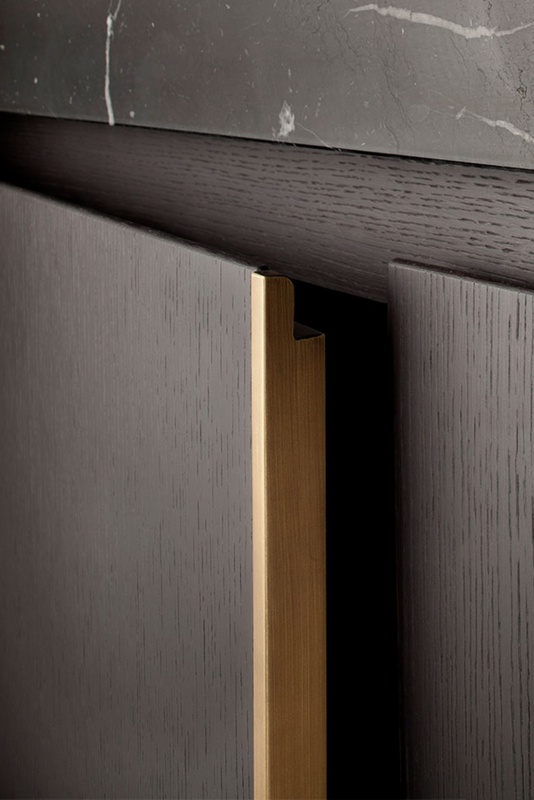 The column doors are characterized by alternating vertical and horizontal groove handles that create a modular design, a tribute to the unique tailoring of TM Italia’s best creations. 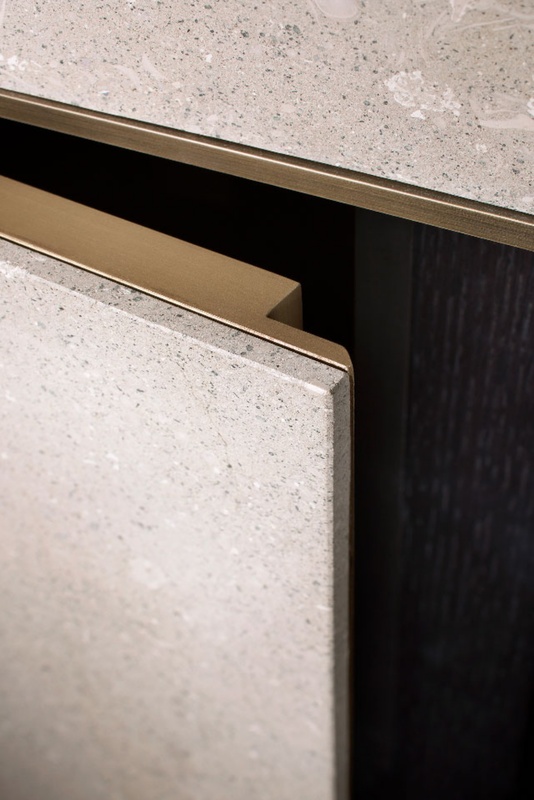 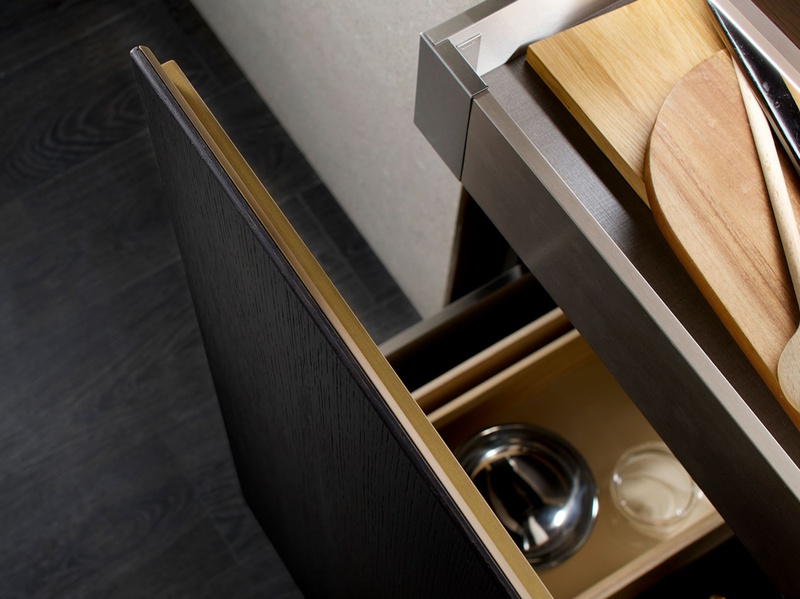 Materials and forms play with the surfaces and sophisticated signs: the bronze metal frames around each Ceppo di Grè or dark oak module bring to life an abstract painting more than a kitchen furniture surface. 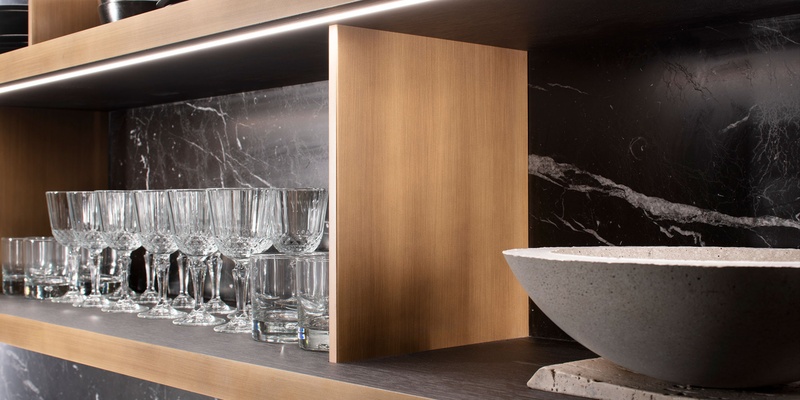 The composition of stone columns is broken by a central operational opening, in which the Nero Marquinia stone (combined with dark oak doors) rises from the top to the whole living area with backlit dark oak shelves punctuated by antique bronze spacers. 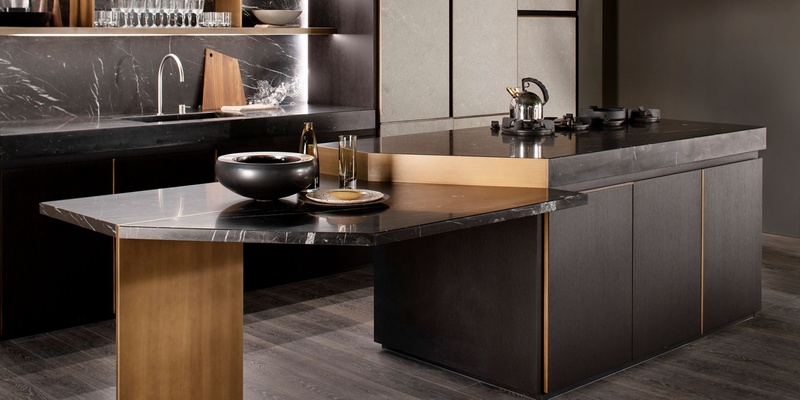 The island features a Nero Marquinia stone top, with a bench from the original asymmetrical cut-off supported by metal components in antique bronze.